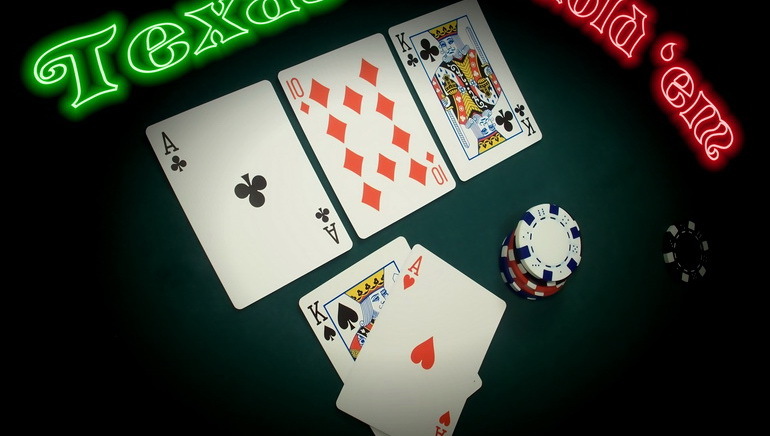 Play Texas Hold'em and other variations of poker online for real money! 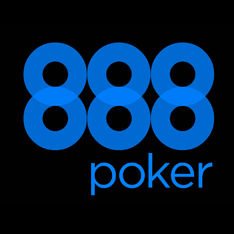 We've compiled a great resource that includes the best online poker rooms that have amazing networks, features and graphics. Poker is the single name for a large number of card games that all share several key elements. Mainly, all poker games share similar hand rankings structure, while the rest of the rules are different in every game. The interesting thing about poker is that the game can be played between players or against the house, depending on the variation you choose. Currently, the name poker is very often associated in general public with the game of Texas Hold’em, which is the most popular version of the game in recent years. Yet, over the decades, many other forms of poker have had that same standing, such as Seven Card Stud, Five Card Draw and others. Most recently, games like Omaha Hold’em and Six Plus Hold’em have been gaining more traction in the ever evolving and growing poker world. If you love playing poker in one or more of its forms, you have come to the right place. On this page, you will find the general guide to help your poker game, the list of best online poker sites you can play at and some great tips and tricks that you can apply to start winning at poker. 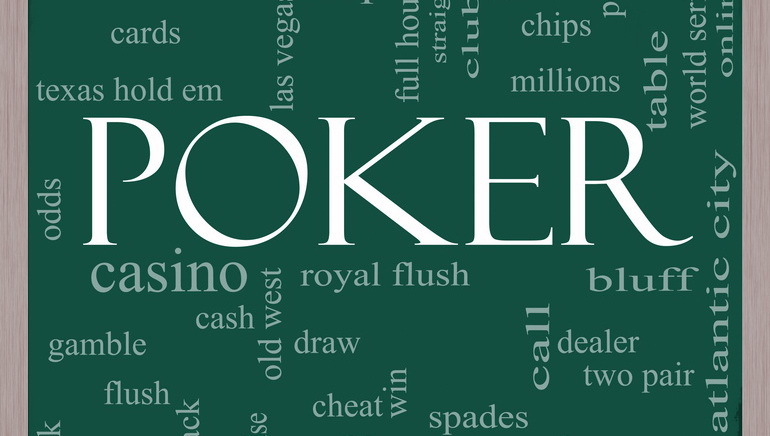 The term poker is a really broad one and it encompasses literally dozens of different card games. There are two groups of games that fall under the category of poker, with one group played between the players and the other group played against the casino. These games are played in tournament and cash game formats both in live card rooms and in online poker rooms. 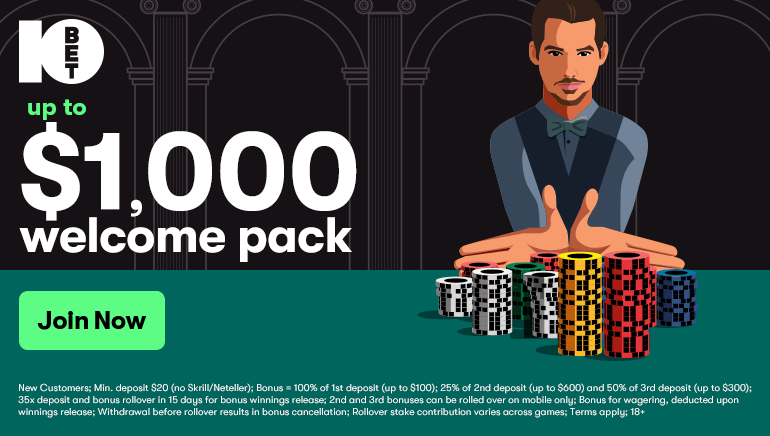 Whether you are an amateur player looking for some quick low stakes action or a professional or high stakes gambler looking to play for the big bucks, there is a poker game waiting for you somewhere. The best of the best meet once a year in Las Vegas to play at the World Series of Poker, the game’s ultimate competition, while thousands of players play real money poker in online poker sites every day. Canadian poker players can play at many different poker sites and can compete with players from rest of the world in both tournaments and cash games. 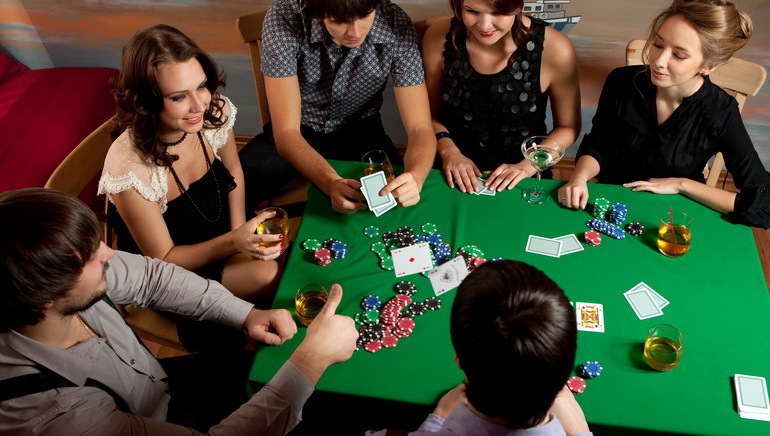 These poker games are much simpler than the other group and they require much less skill to play. Unlike poker games played against players, these poker games cannot be beaten in the long run as the casino always maintains an edge just like in games such as blackjack or baccarat. Still, poker players who feel lucky can take to the virtual felt and try to beat the dealer over a short poker session. There will be no bluffing or value betting involved in these games, as you will have to play the hand you are dealt and hope your hand beats the dealer’s. Poker players from Canada will need to go to online casinos instead of poker rooms to play these games, as these games are considered casino games and are not offered at poker site. Fortunatley, the online casinos where these games are played offer much bigger real money bonuses, so players can take advantage of these and play with much more money in their accounts. As we already explained, there are many different poker games out there to choose from. However, all of these games share some basic rules and these rules are what puts them all in the category of poker games. Most notably, poker games share hand rankings, which determine which poker hand beats which. Having the best hand is one way to win a poker hand, while the other way is to bluff your opponents off their hand in those poker games which allow for it. In games like Texas Hold’em and Omaha, bluffing is an integral and crucial part of the game, while games like Oasis Poker and Caribbean Stud will force you to make the best hand or lose the pot. Texas Hold’em is the most popular poker game at the moment and the best starting ground for new poker players. The game is relatively easy to learn but incredibly hard to master as the professional players are spending hundreds of hours breaking the game down and learning about all the mathematical variations and probabilities involved. The Blinds: One player is designated as the dealer and is given the “dealer button”. The two players to his left post the “small blind” and “big blind”. These bets are obligatory and their size depends from table to table and from format to format. An example of a game spread online would be one where players buy in for $200 and the blinds post $1 and $2 each. The Hole Cards: All players at the table are dealt two cards face down, which no other players can see. These are called the hole cards and they are crucial to the way you will play your hand. First Betting Round: Once all players have their cards, betting can begin. Each player can fold his cards, call the amount of the big blind or raise to any amount he wishes, no greater than the amount of chips left in front of him. The action is complete when all players have acted and there are no uncalled raises. If all players but one fold at any point, that player wins the entire pot. The Flop: Once all bets have been completed on the first betting round, the flop is dealt. Three cards are dealt across the table face up for all players to see. All players can use these cards to form their poker hand. Second Betting Round: Like the first betting round, all players, starting from the left of the button, are allowed to make their bets for any amount they choose or check their hand, giving the action to the next player. Once a bet is made, all players must either call that bet or fold their cards. The Turn: A fourth community card is dealt on the table for all players to use. Third Betting Round: Another round of betting ensues among the remaining players. The River: The final fifth community card is dealt on the middle of the table, making it five community cards in total. Final Betting Round: Players get to bet one last time. Showdown: Remaining players show their hole cards and the best hand is announced by the dealer. As you can see, playing a hand of Texas Hold’em is in fact quite simple. However, in order to win at the game, you will need to make bets and call other players’ bets based on your cards and your estimation of theirs. This takes a lot of practice and skill to do well and the game of Texas Hold’em can be quite fun when players start taking creative lines with their betting. If you are not in the mood to learn the complexities of games like Texas Hold’em or Omaha, online casinos offer plenty of chances to play poker in a much simpler format. Playing poker against the house means you will not have the chance to bluff or decide how much to bet on multiple streets, but you will not get bluffed either. Most casino poker games simply end up comparing your hand with the dealer’s which is a fun way to bet real money and experience some poker action in the process. Popular casino poker games in Canadian online casinos include Casino Hold’em and Caribbean Stud, both of which are simplified versions of other poker games, namely Texas Hold’em and Seven Card Stud. The rules of casino poker games are much simpler, with only one or two betting rounds, jackpots awarded immediately for making big hands and hand rankings remaining the same as all other poker games. While making a royal flush in a game of Texas Hold’em might end up with no one paying you, making one in a casino poker game will pay off guaranteed. As a Canadian poker player, you have a lot of options when it comes to playing online poker. You can enjoy playing poker at both real money poker sites and real money casinos online, with different sites offering different games. The big poker sites give you a chance to test your skills against other poker players, compete in big tournaments with thousands of dollars on the line for a small investment or play in cash games and gradually build up your bankroll. Online casinos on the other hand will let you play around the clock against the house, with luck as the determining factor. Online casino poker games are played one hand at a time just like blackjack and you get to choose how much you want to bet. Whether you are looking for poker games against competition or against the casino, you will want to make sure you choose the right site. Canadian poker players are welcome at most online gaming sites, but make sure you always pick ones with proper licenses and a long reputation in the industry. To help you out, we have compiled a list of top online casinos and poker rooms that offer real money poker games to Canadian casino players. Picking any of the sites on our list of poker sites will give you a chance to play instantly and apply all your poker skills within minutes. It is time to roll up your sleeves, put on your poker face and get ready to face off against your opponents. The battle of wits that is poker is available for you online around the clock and your opponents are waiting. Do you have what it takes? 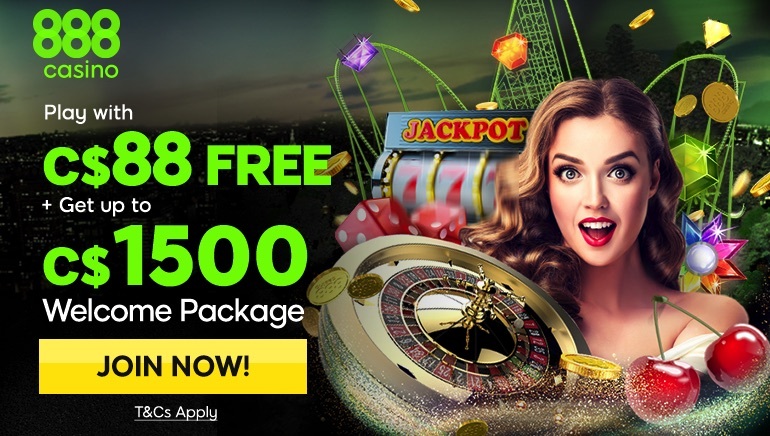 If you think you do, pick any of the sites in our to real money poker sites list, sign up for a free account, claim your first deposit bonus and enjoy the many hours of poker entertainment that await you. With a little luck and a lot of skill, you might become the nest World Series of Poker champion some day! What kind of poker games can I play online? You can play poker online against other players or against the house, with dozens of different versions of poker available. Where should I go to play poker online? Poker is offered at both online poker sites and online casinos in various forms. It is up to you to choose which format you prefer. Are rules of poker always the same? Basic concepts like hand rankings are usually the same, while you will need to learn other rules depending on the game you choose. Yes! Both online casinos and poker rooms are available on mobile phones and tablets alike. Multiple online casinos in Canada offer live dealer casino poker games such as Casino Hold’em.